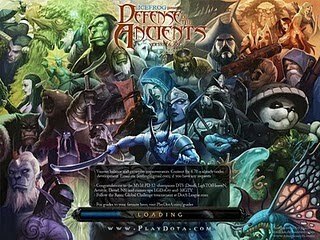 Download DotA 6.69 Ai - DotA v6.69 Ai Plus 6.69.w3x Ai ReleaseFinally, after waiting for months, Dota 6.69 AI Map (beta) has been released by PleaseBugMeNot and its developing team. This is the first ever AI Map with Invoker AI, the development team has put a lot of effort to bring this map to us, they have fixed a huge number of crashes (memory leaks) and improved the AI gameplay. This map is still considered as a beta, PBMN is planning to release more AI maps in future. The script had a big overhaul of leak fixing and decrypting. Skills might not work, unseen bugs might occur. Be prepared and report. JUST REMEMBER: DO NOT COMPLAIN ABOUT THE BUGS! THEY ARE THERE AND THEY ARE ANNOYING! Alchemist, Spiritbreaker, Bristleback, Lycanthrope, Undying, Lone Druid, Templar Assassin, Soul Keeper,Storm Spirit, Windrunner, Batrider, Tinker, Techies.